Improve Your Website Search with Expert Mike Moran. Join us Tuesday, March 28th, as we keep making 2017 our best year. 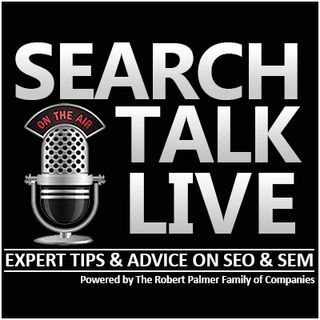 Mike Moran joins Search Talk Live to discuss How to Improve Your Website Search. Mike is one of the most distinguished guests we’ve ever had as he brings his expertise in internet marketing, search technology, social media, text analytics, and web metrics to show. Mike is a certified speaking professional making regular speaking appearances. Serving 30 years at IBM, Mike served in several executive-level technical positions. ... See More He now serves as a senior strategist for Converseon, is a senior consultant for SoloSegment, and is the founder of Biznology. You can check out Mike’s latest book, Outside-In Marketing: Using Big Data to Guide Your Content Marketing, and read his latest article contributions as a featured columnist to the Rutgers Business School blog and Business2Community.com where Mike shares his expert digital marketing advice.